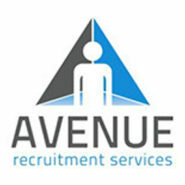 Avenue offers a unique recruitment service to its extensive portfolio of client in Fife, central Scotland and throughout the UK. We have established our enviable reputation over the last 20 years by leading the way in temporary and permanent recruitment across a diverse range of specialist market sectors. Established in 1993, Avenue Scotland has grown to become one of the largest and most successful independent recruitment agencies in the country. We serve a diverse range of over 2000 clients across the UK from our offices in Dunfermline.